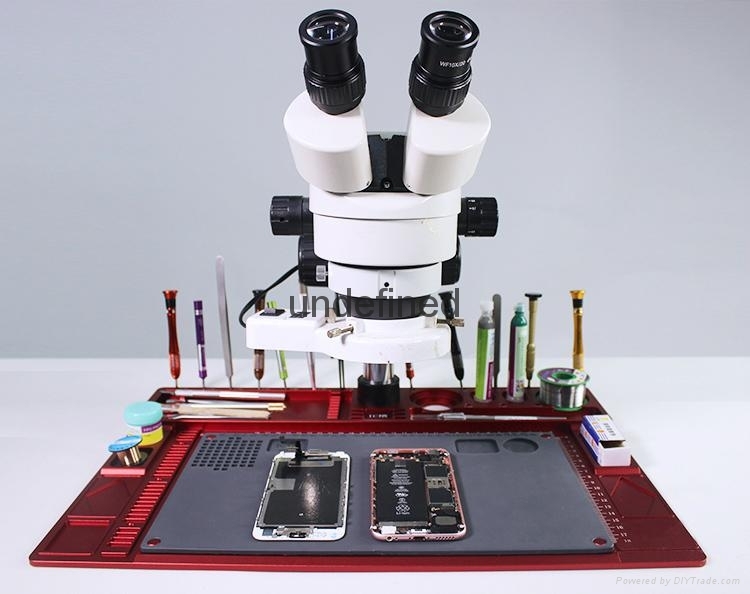 Insulated Maintenance Pad with a microscope 468mm x 318mm (Aluminum Alloy) (Red, Blue, Gold, Black,Rose Gold). Anti-Static,odorless and anti-coorosion Integrated Insulation Maintenance Pad. High temperature 0-500 accommodate a variety of small accessories. Applicable to all the electronic maintenance and repair workshop. Insulated Maintenance Pad 468mm x 318mm (Aluminum Alloy) (Red,Blue,Black ).